Alta Philippines is now part of the Microsoft Partner Network, which gives us the powerful edge of cloud-based Microsoft Office 365. We offer the latest products and services to our customers at affordable prices. 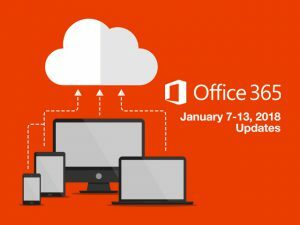 With Office 365, customers can now access their files and folders anytime, anywhere since they’re saved in the cloud. Good News! 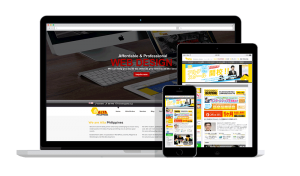 In an effort to produce more value and provide greater service for our clients, Alta Philippines It Solutions and Web Page Design Inc. (Alta PH) is now also offering offshoring of projects in a cooperative effort with Alta Japan (Alta JP). With a team consisting of members trained and integrated by Alta JP, you now have the option of lowering development costs without sacrificing efficiency or quality. Why Offshore? The Philippines is the 2nd biggest exporter of Offshored Business Processes (OBP) in 2015.When budget is in question; offshoring is usually the best solution to lowering development and other related costs so that more priority may be put to other areas. With this joint cooperation, you are being delivered the same Alta quality brand name at a fraction of the cost. Offshoring is a three-way process. Projects coming from Alta JP are sent to its subsidiary, Alta PH who begins developing said project. Throughout development, goals are aligned with Alta JP and sent back for final touches and revisions. We here in Alta PH are determined in providing our clients with efficiency, quality and continually seek for improvement, starting with a venture such as this. To better reach out to your clients and be visible, we apply Search Engine Marketing (SEM) to give your business and website an edge over your competitors by bringing up your page at, or near the top of search results related to your business. A website with proper Search Engine Optimization will be readily visible to even the vaguest of search terms, maximizing the probable clients that may search for your site. We create stunning, modern and eye-catching web pages in-line with the current trends (As well as in the industry) in web design and development. Each site is specifically tailored to suit your needs, according to your preferences, the way you want it. Create your website with us, and represent your business goals and objectives on the internet today! Maintain a stable social media presence and keep a step ahead of your competitors with targeted advertisements to possible clients who will need your service. With today’s trends and popularity in social media, a business must also keep up with these trends in order to remain relevant and have a wide range of visibility. Let us handle your social media needs! A picture is worth a thousand words, so let your logo speak for your company. Let us assist you in creating and visualizing your brand to better represent your business. We will also handle your business’ promotional materials for you; from document letter heads to brochures, signage and giveaways.